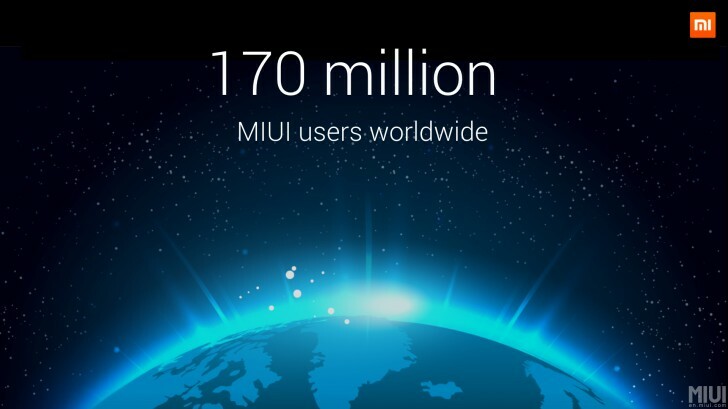 Xiaomi has announced that its MIUI ROM is now being used by more than 170 million users around the world. The announcement was made by the Chinese company at the ongoing Mobile World Congress (MWC) in Barcelona. MIUI crossed the 100 million users milestone back in February last year, meaning the ROM has amassed 70 million new users in the last one year alone. In addition to the total number of MIUI users, Xiaomi also revealed that the ROM is now available for more than 340 handsets. As you might already know, Xiaomi announced its latest flagship smartphone today. Dubbed Mi 5, the device runs MIUI 7.0, which is based on Android 6.0 Marshmallow.